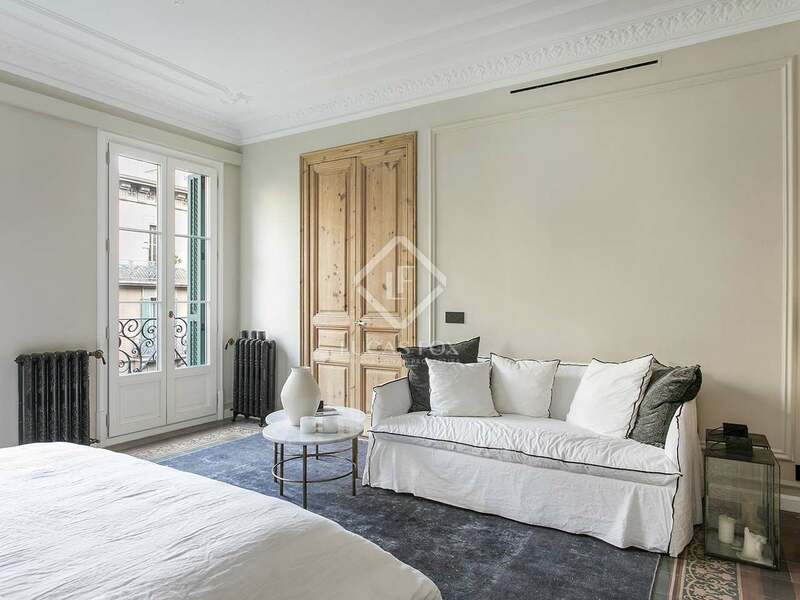 Apartment for sale on Carrer de Girona, renovated to the highest standards and with top quality furniture included. 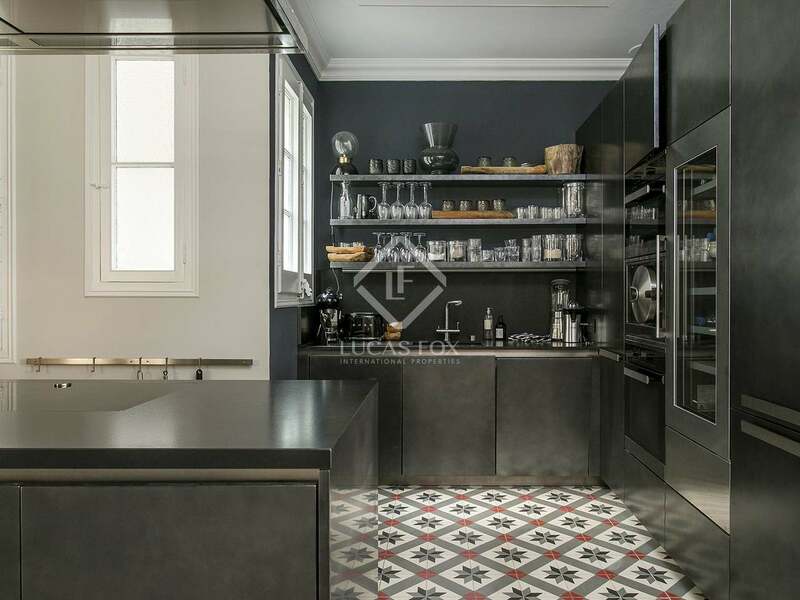 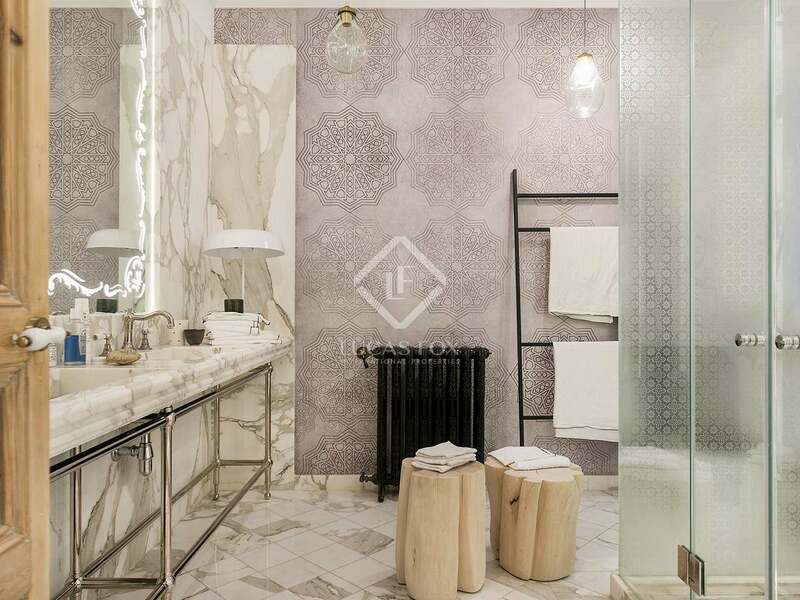 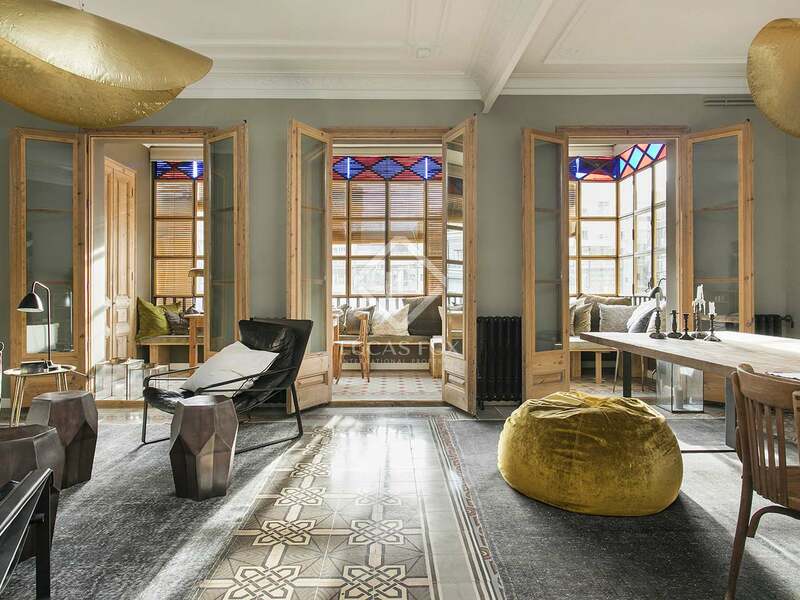 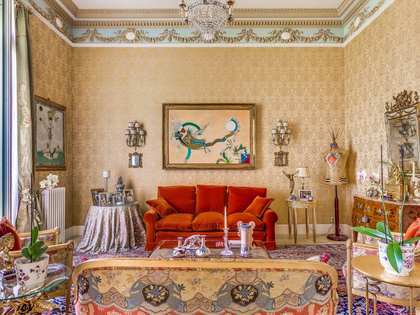 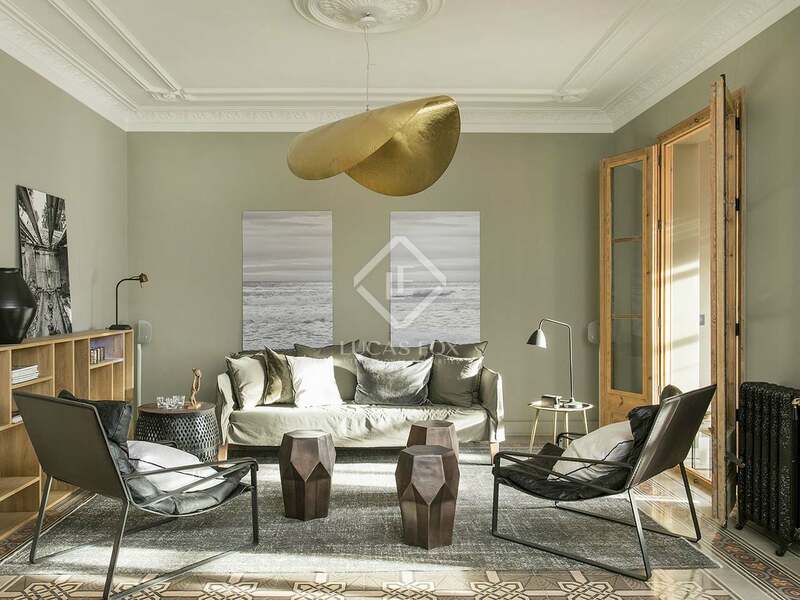 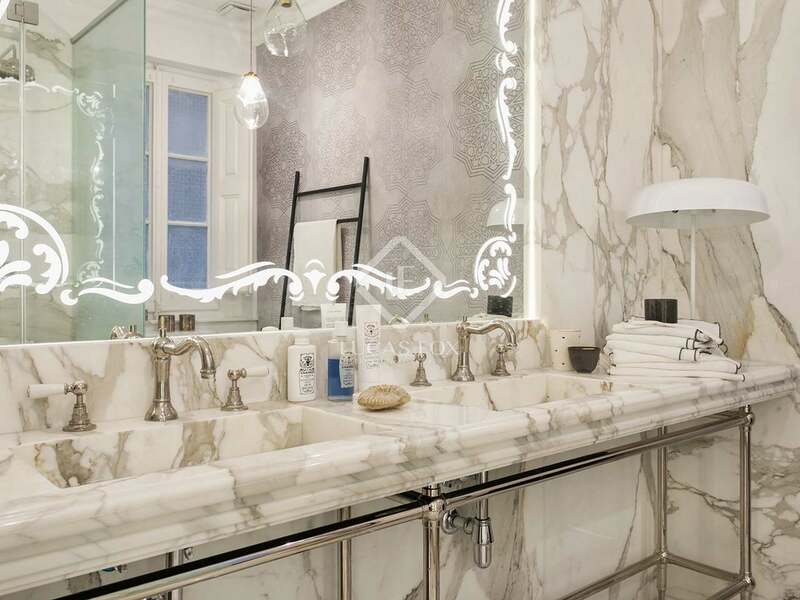 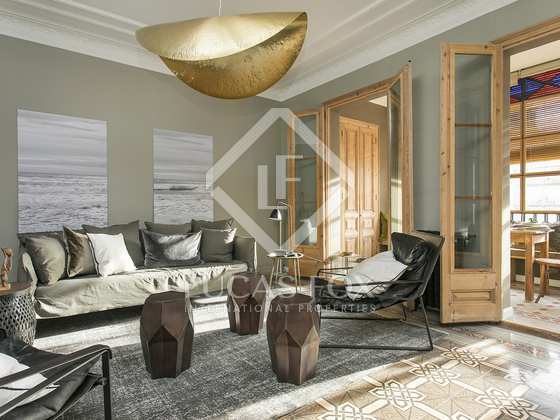 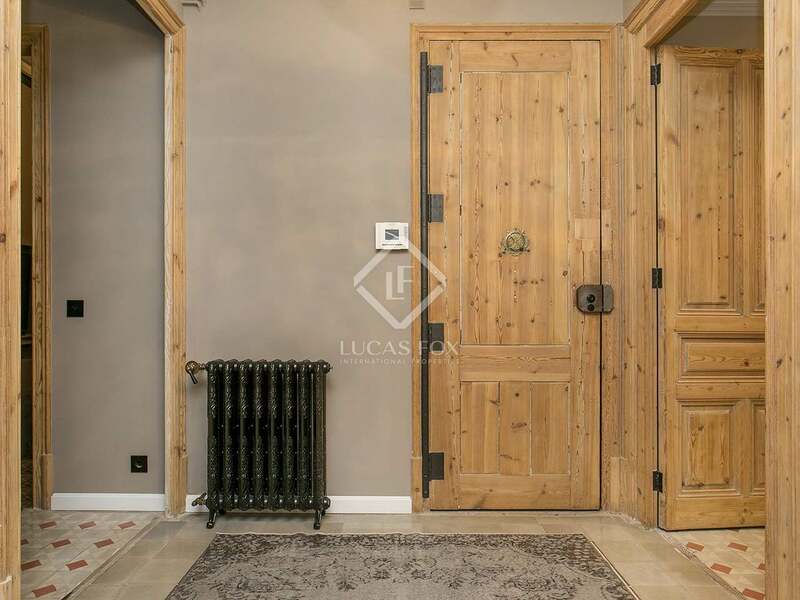 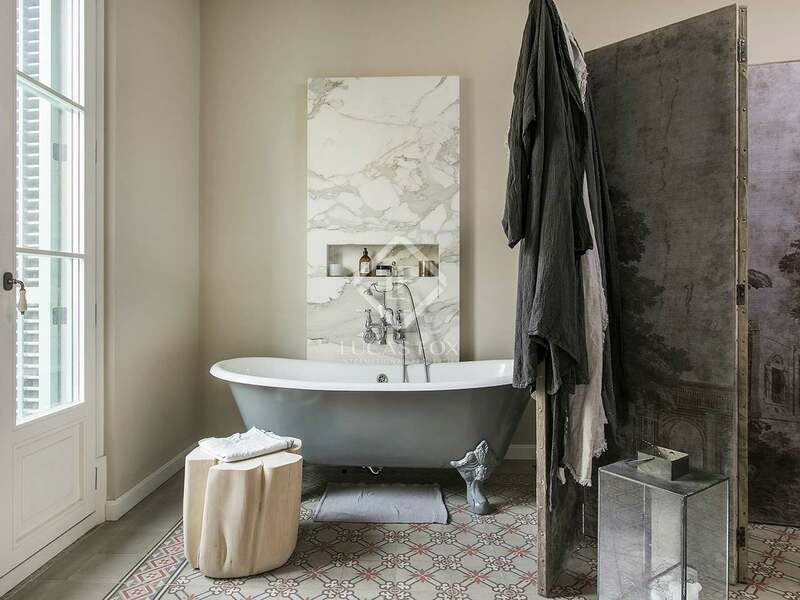 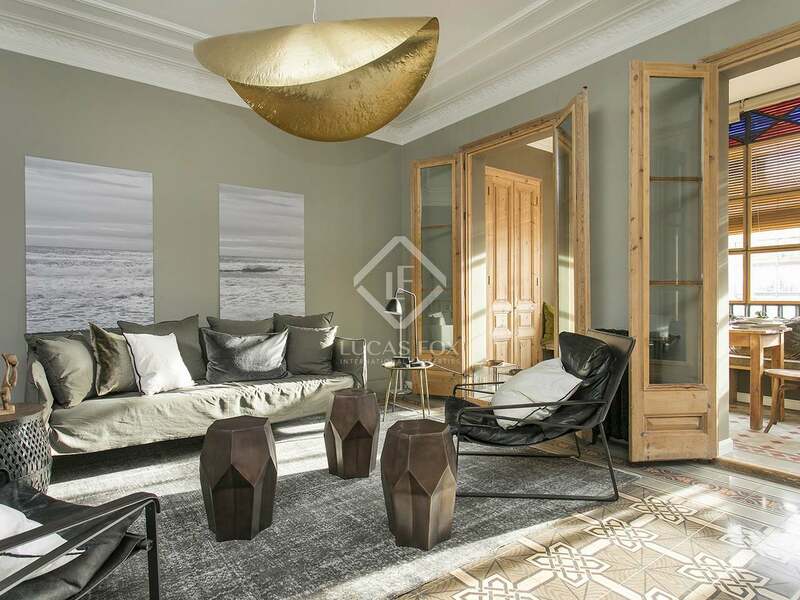 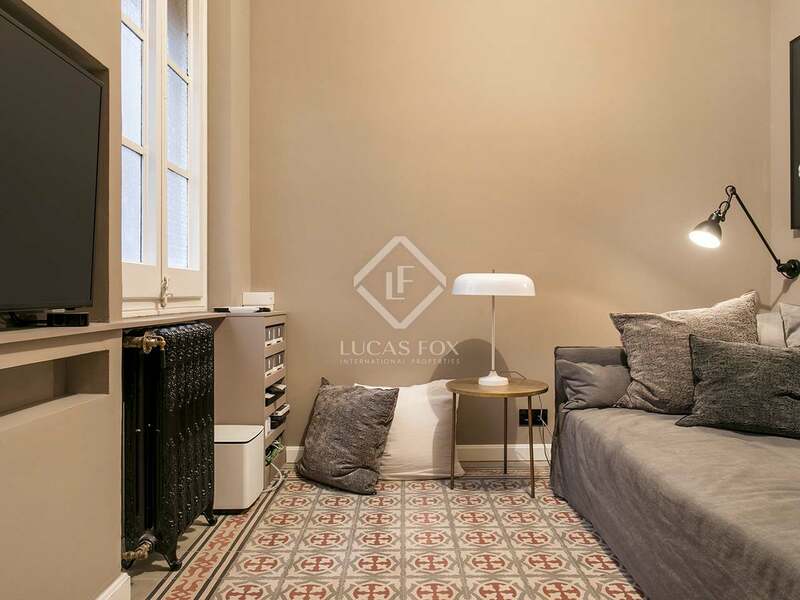 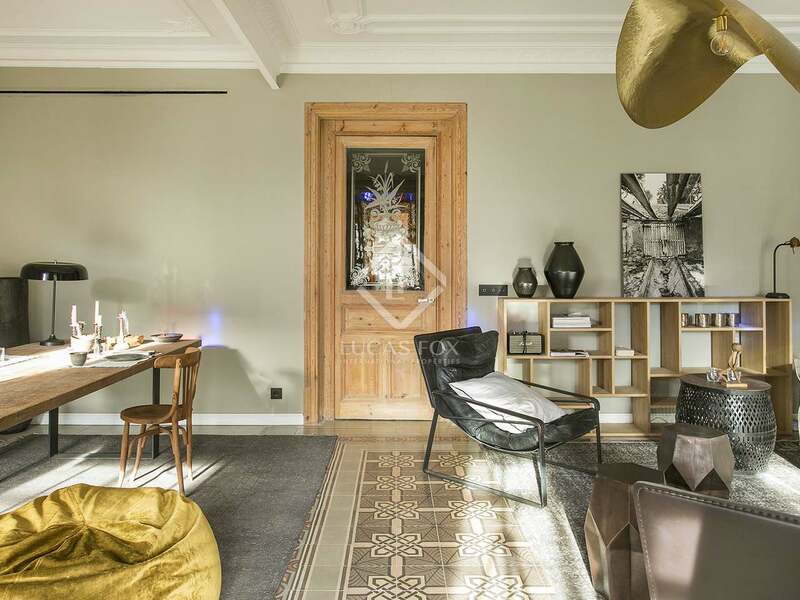 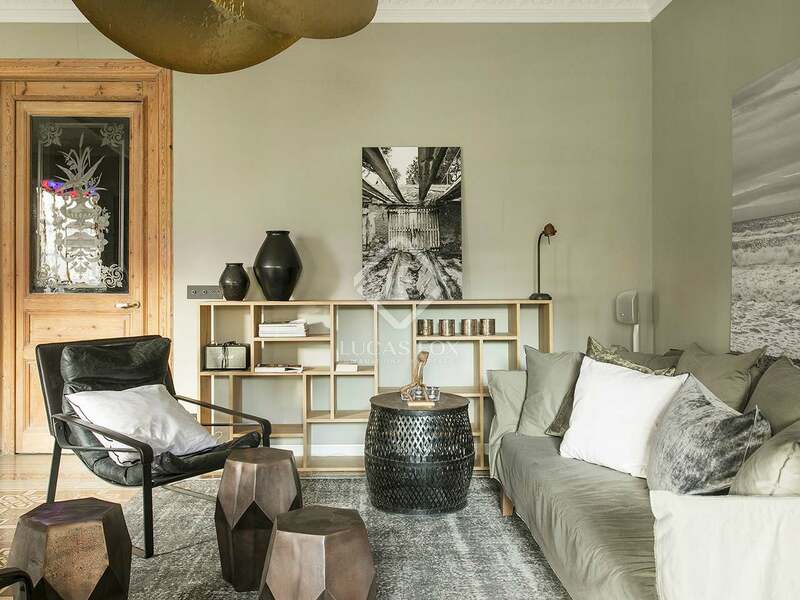 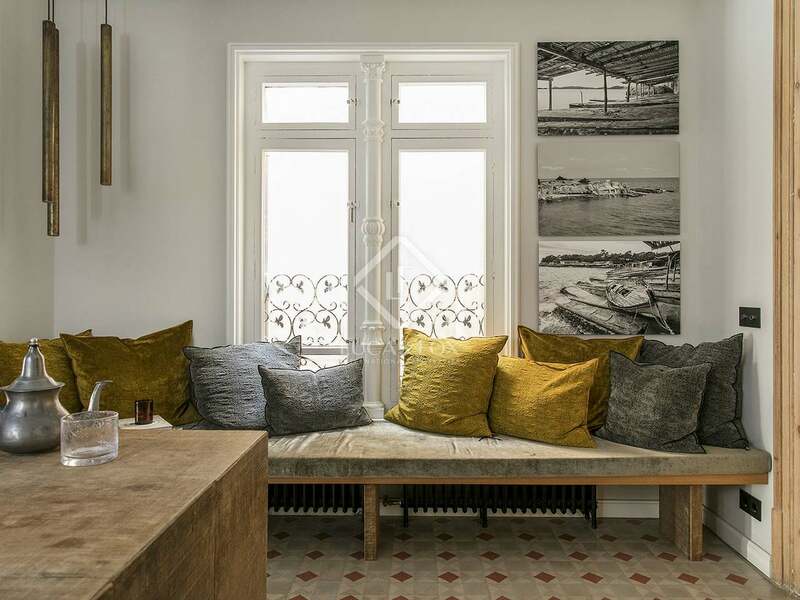 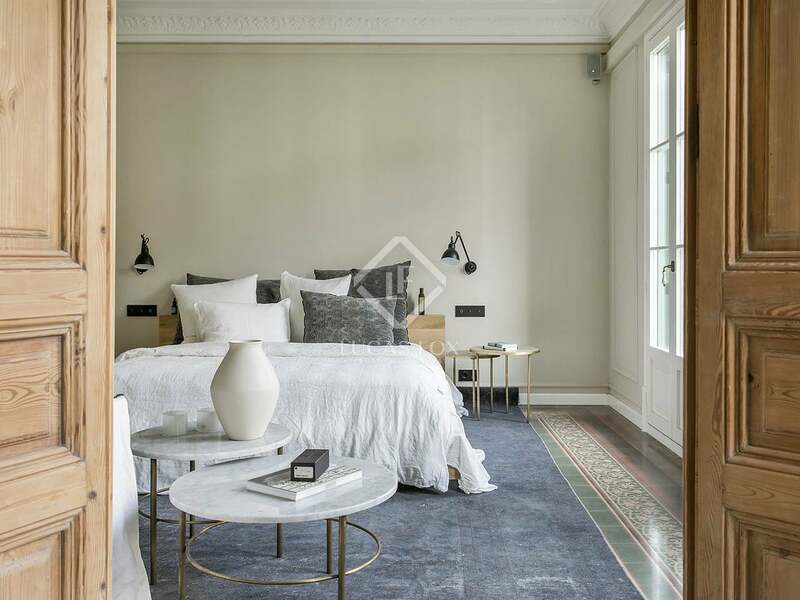 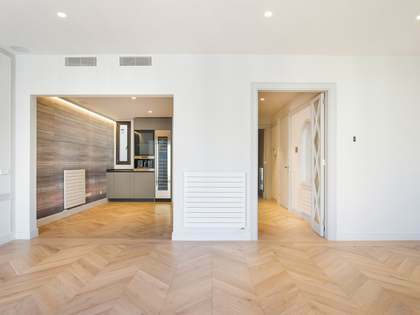 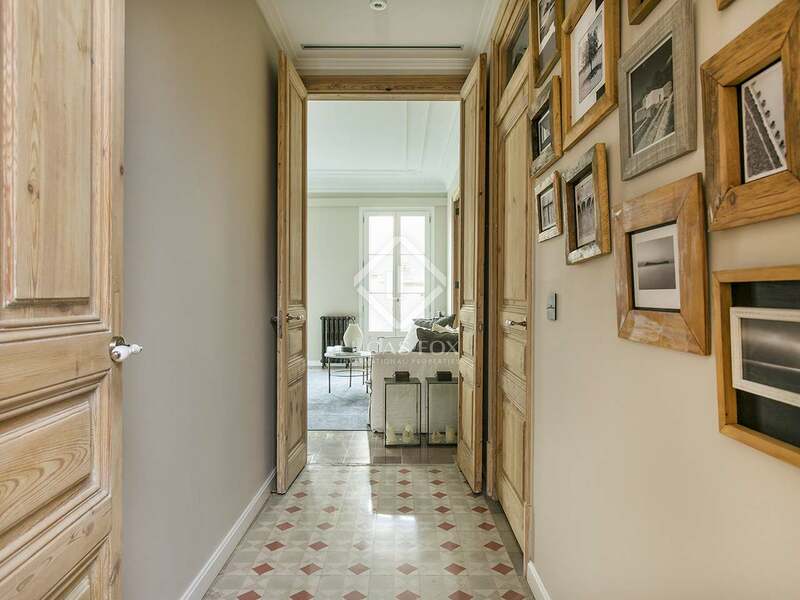 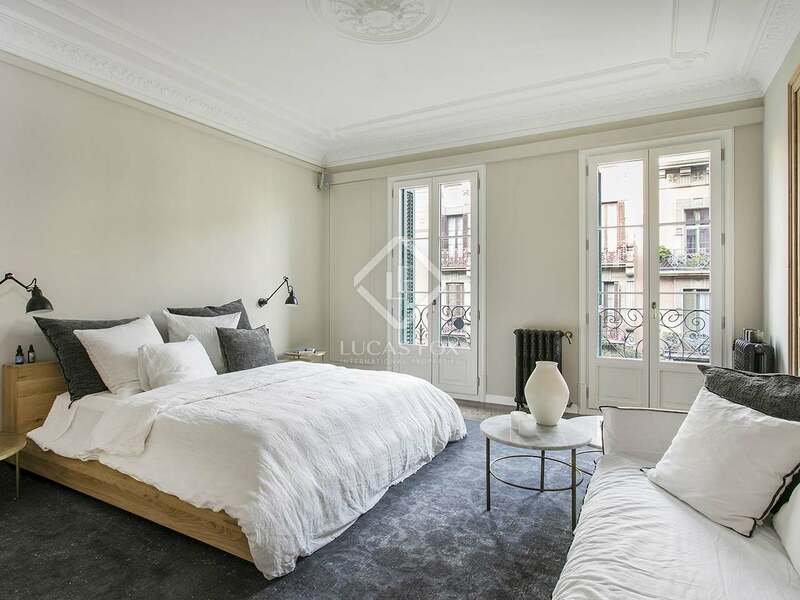 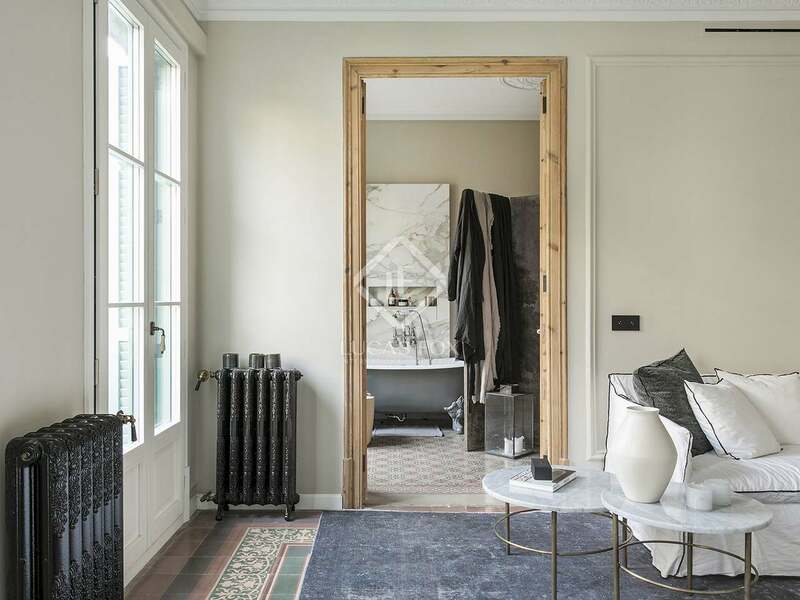 This beautiful period property, renovated to the highest standards, is located on the fourth floor of an elegant Modernista building on Carrer de Girona, in Barcelona's centrally located Eixample Right district. 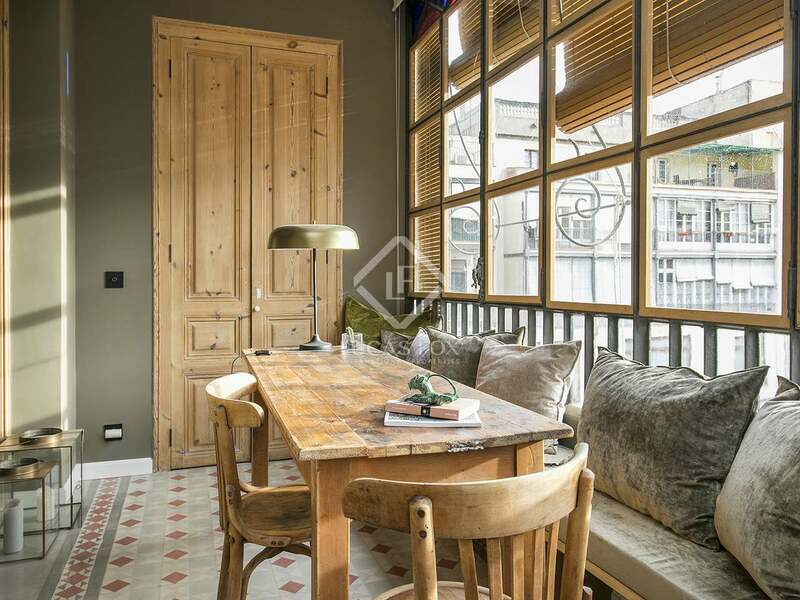 The apartment has a surface area of 190 m² and enjoys high views over the tree tops of Carrer de Girona on one side and views of the typical Eixample interior block patio on the other side. 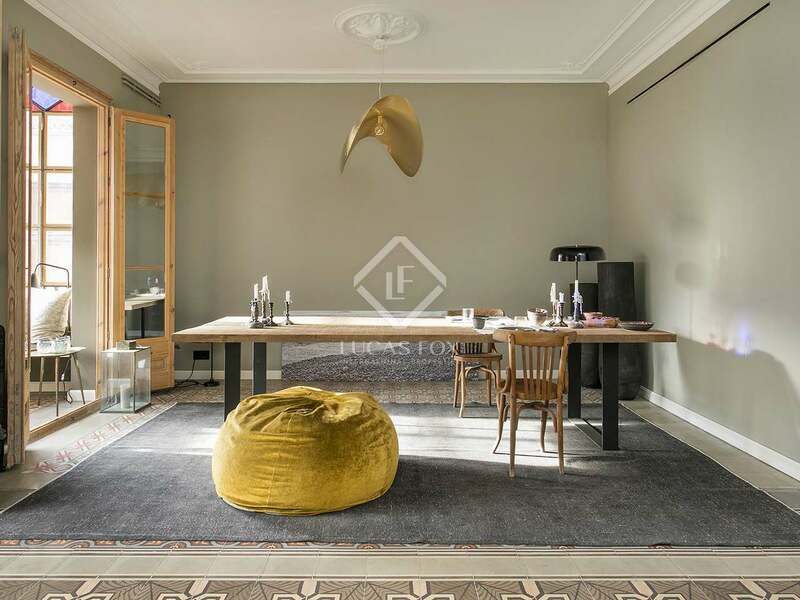 Finest quality furniture is included in the price. 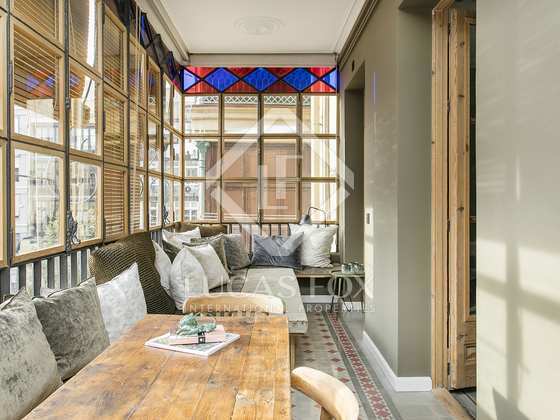 There is a spacious, bright living-dining room with a wonderful, large glazed balcony overlooking the patio. 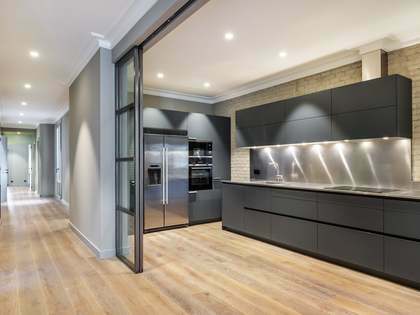 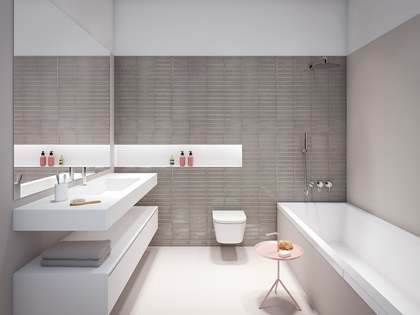 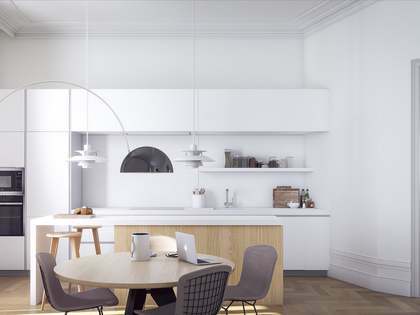 The modern Boffi kitchen, which is equipped with Miele and Gaggenau appliances, leads off of the living area and gives the apartment its sleek, contemporary edge. 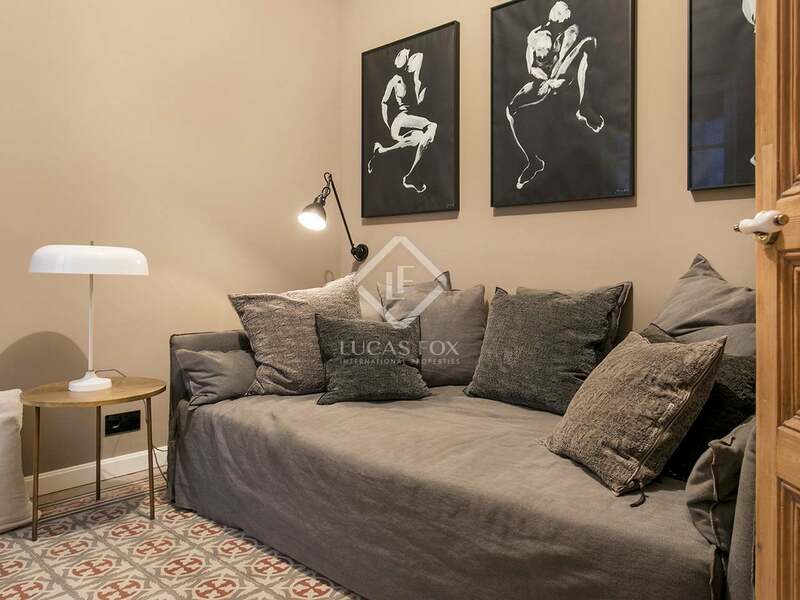 There are 3 bedrooms in total, including 2 double bedrooms with a shared bathroom and a master suite with its own bathroom and views over the street below. 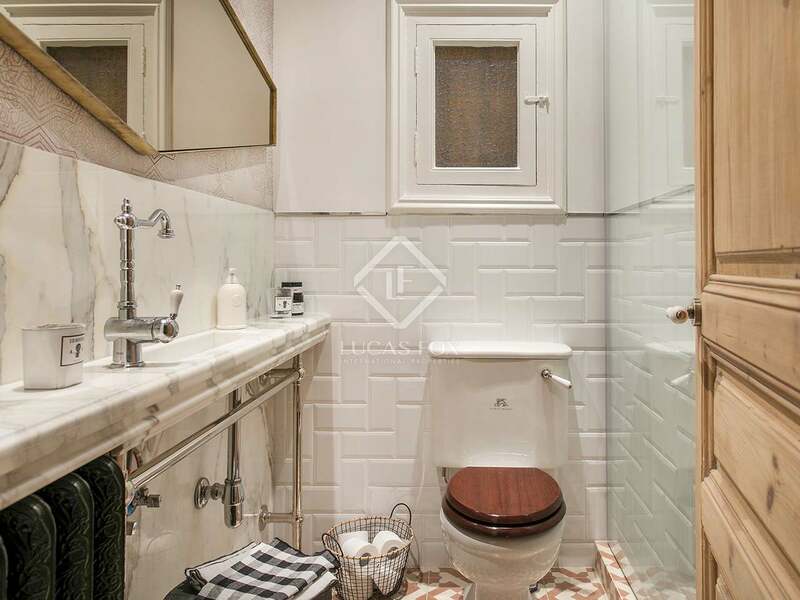 A guest toilet is located in the hallway. 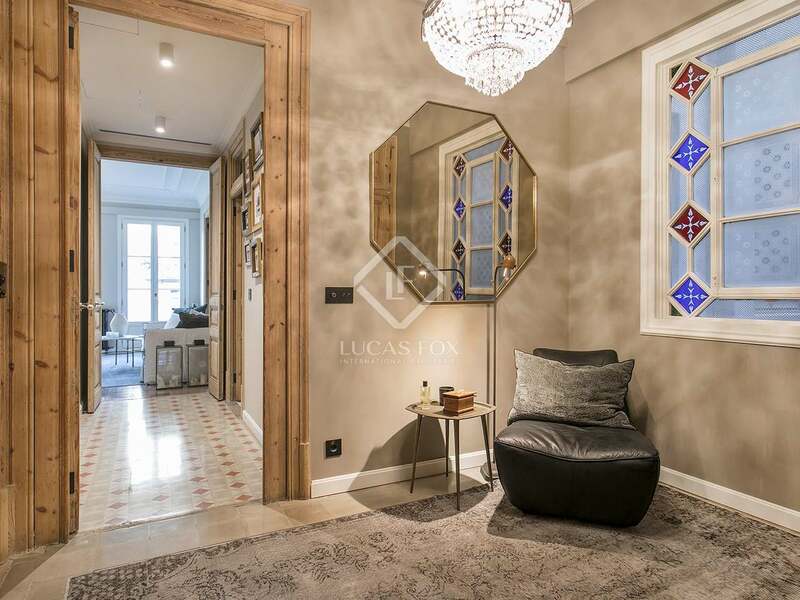 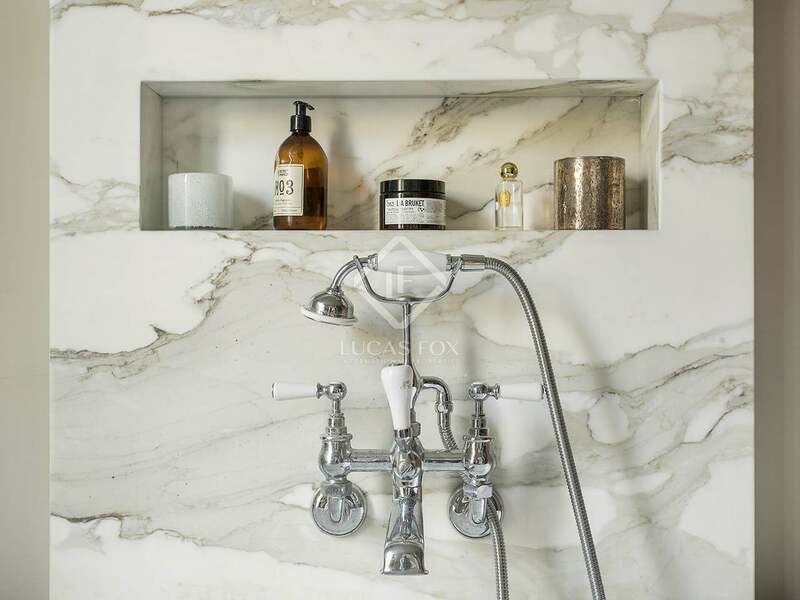 The property is characterised by the mixture of modern finishes and restored Modernist features such as the high ceilings with decorative mouldings, the mosaic floor tiles, stained glass panels and the wrought iron balconies. 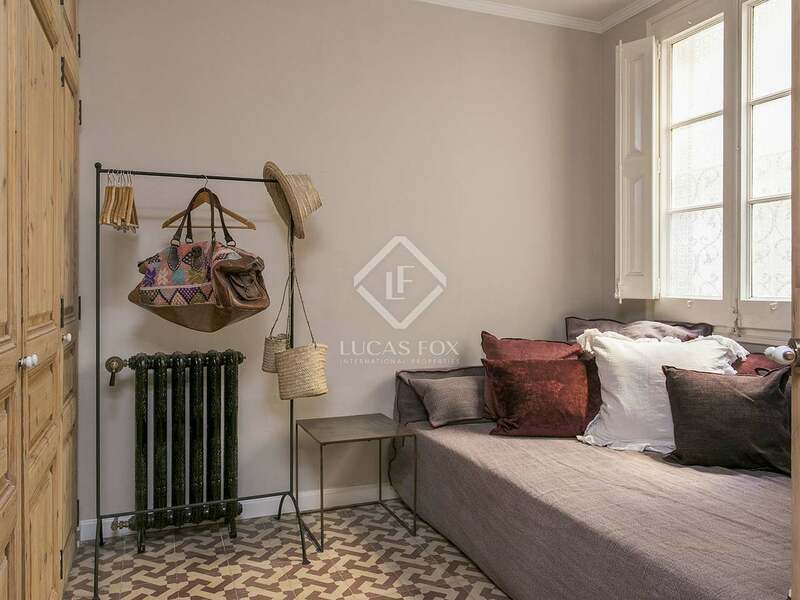 This would be a perfect opportunity for someone looking for an exclusive period property in an unbeatable location or for an investor looking to gain a guaranteed and continued high rental yield. 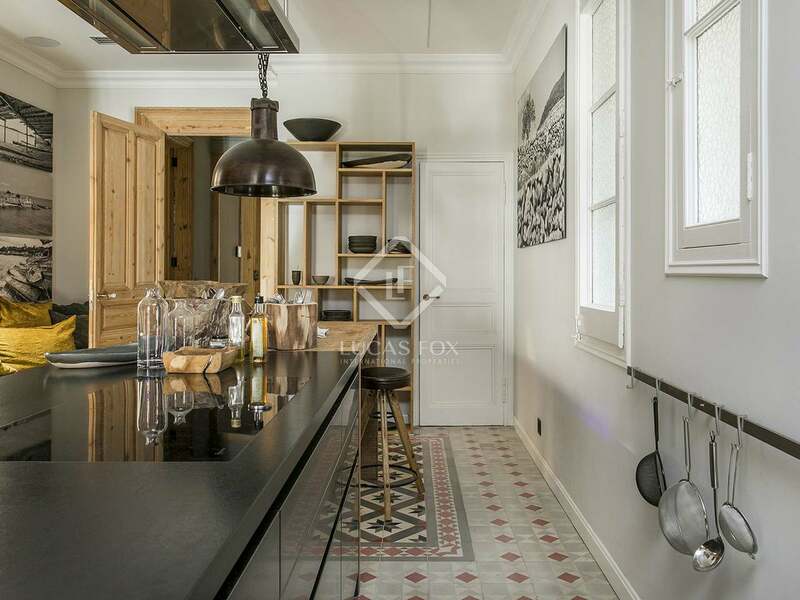 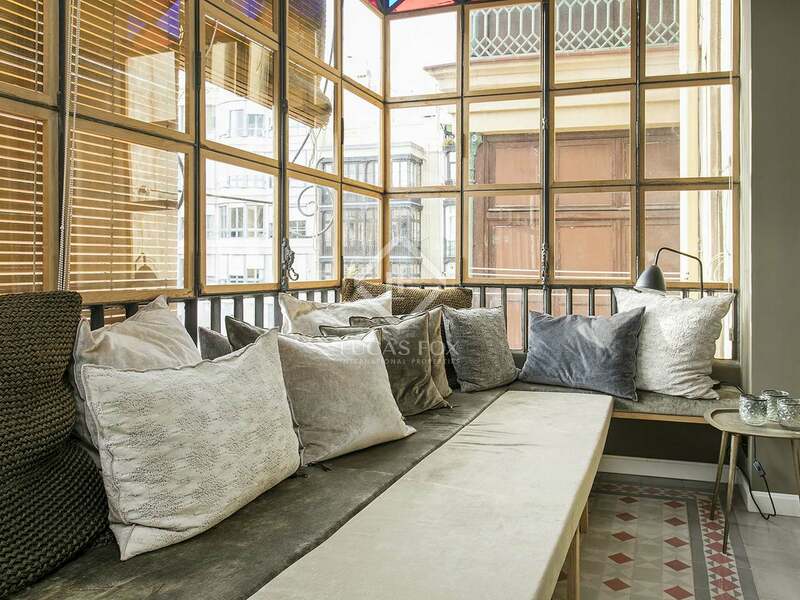 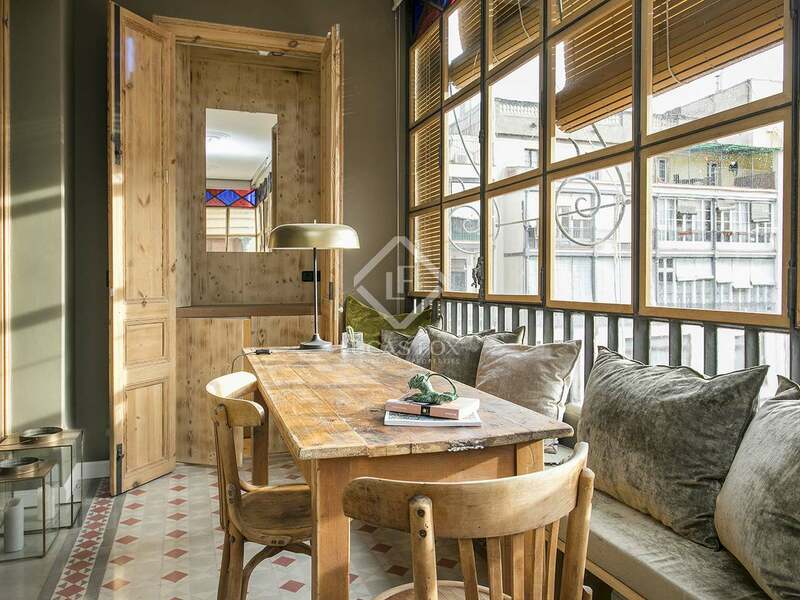 Property on Carrer de Girona in Barcelona's Eixample Right district. 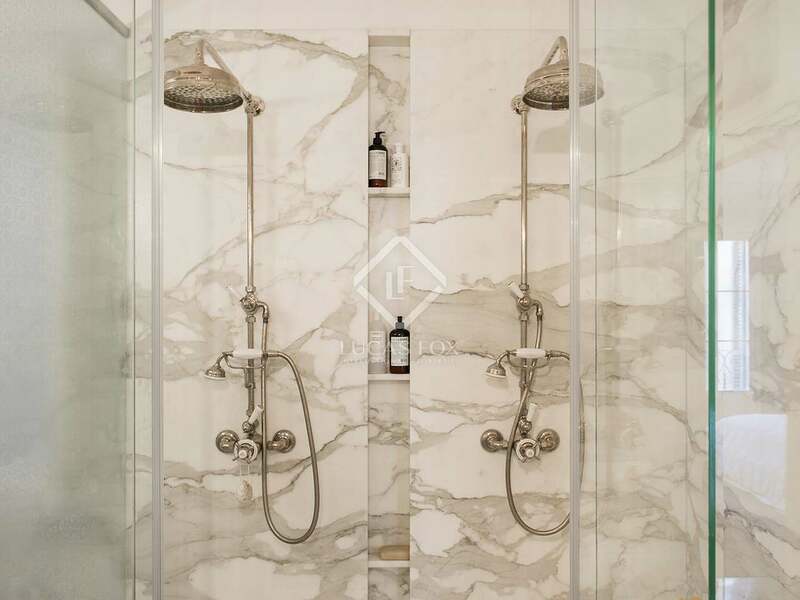 In an area with all amenities and services on the doorstep. 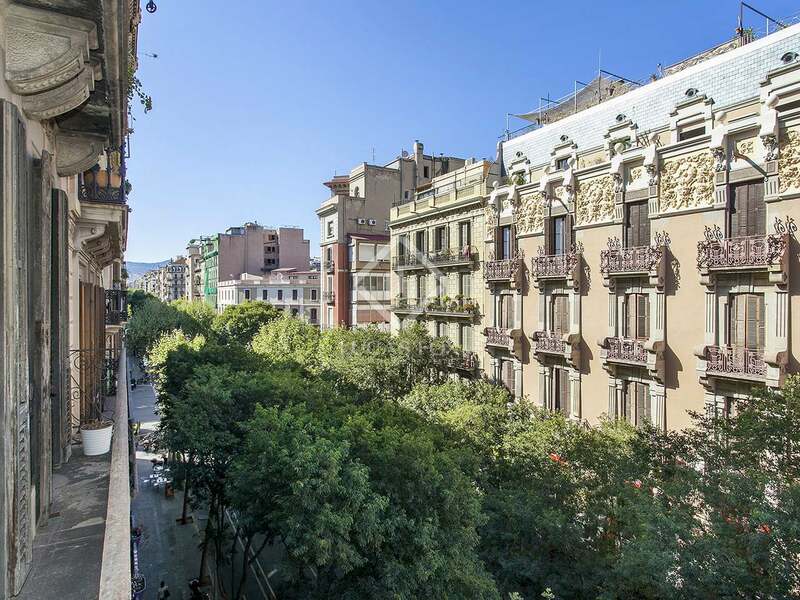 Just a few minutes on foot from Passeig de Gracia and Plaça de Catalunya.